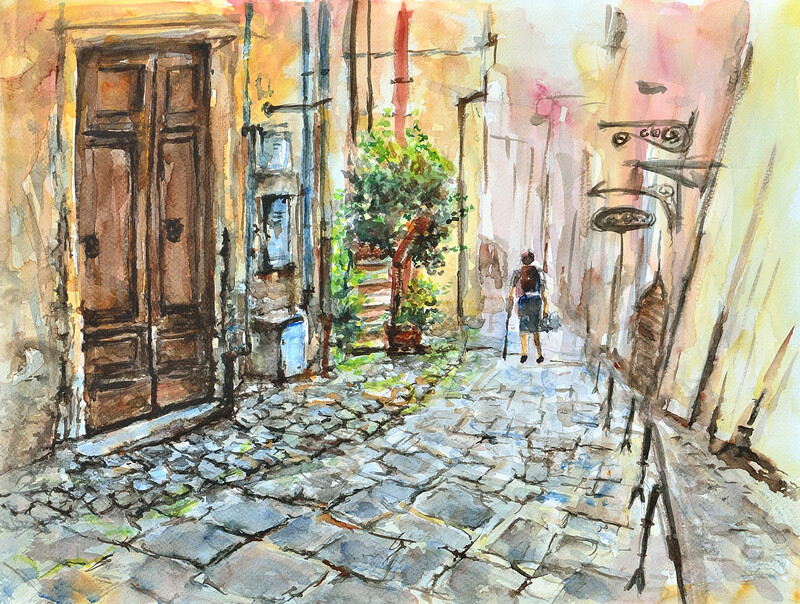 Image | This entry was posted in Watercolour feelings - Acuarela sentimentala and tagged Acquarello, city landscape, Fine Art, Italian street, Watercolor landscape, Watercolor painting. Bookmark the permalink. I really, really love this! Love the work on the stones! Beautiful!